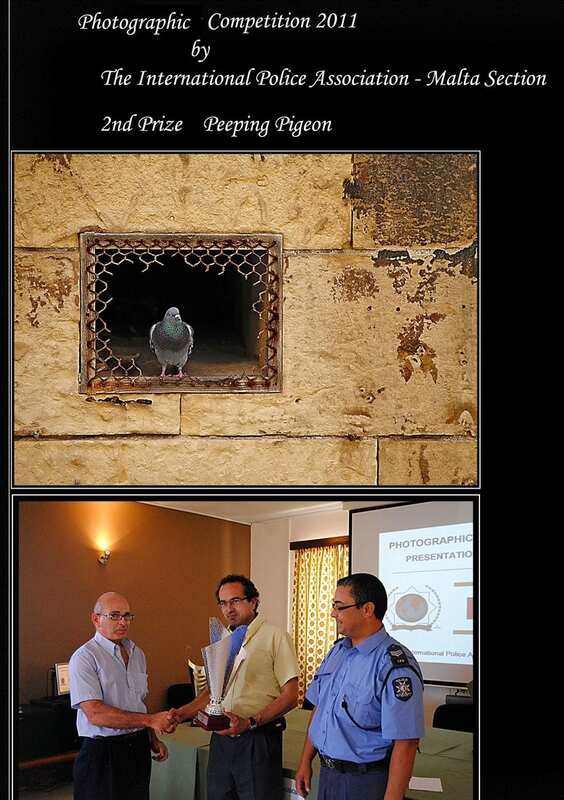 Phorographer MARIO MIFSUD, lost his left hand in a horrendous industrial accident. Life is beautiful, but it can also be cruel. The beauty and splendour of the Red Admiral butterfly. On the 30th of May, 2013, at the age of 58, the life of Mario Mifsud changed drastically, tragically and dramatically. On the morning he went into work as usual and was working on an electro-mechanical shredding machine, shredding microelectronic security devices made of metal. Suddenly his world turned upside down as the machine caught his left hand and sliced it off from the wrist down in an industrial accident that is still under Court deliberation. 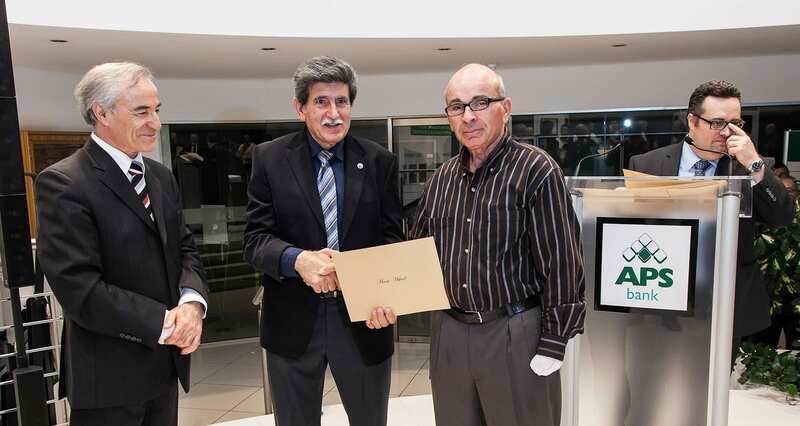 Mario recognised for his photography achievements by APS Bank. Since then he has had seven operations, mainly skin grafts to round off his hand at the wrist, in one such operation skin from his legs being used to cover the hand. He was fitted with a prosthetic hand and later purchased a robotic hand but found this not suitable as it cannot get a proper hold on items he wishes to lift. Despite the trauma of blood spurting everywhere, the indescribable pain, loss of a hand and subsequent operations, Mario has soldiered on with his life, bravely overcoming the general discomfort of virtually totally losing the use of his left limb. 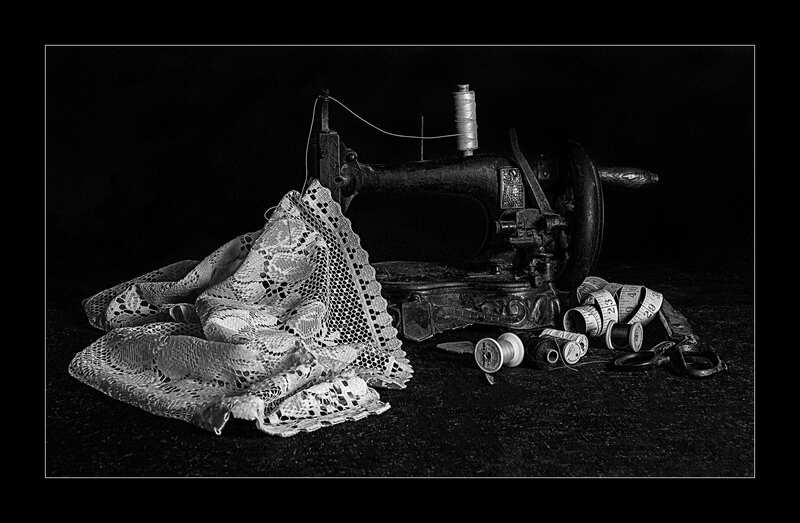 One of his best still life pictures, an early sewing machine, Malta lace and accompanying sewing items. 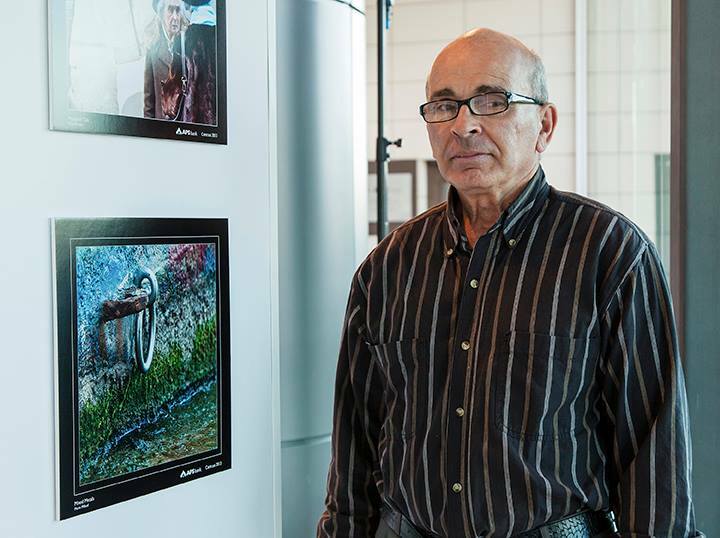 Initially, Mario thought that his dedicated life’s hobby – photography – had come to an end. He just could not envisage himself being able to hold a camera properly anymore. 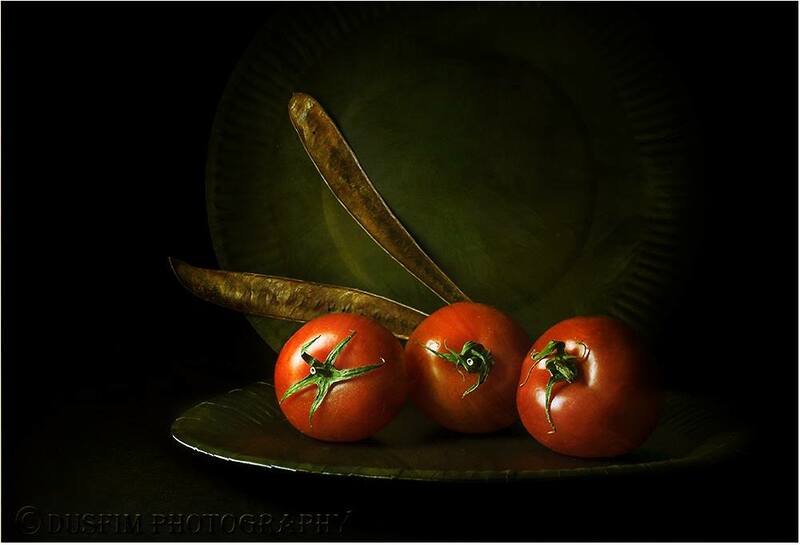 Although his hobby snaps mainly cover still life, Mario also relishes spontaneous photography, curiosities, something that instantly catches his eye and creates a subject and a picture. Have camera, will travel! 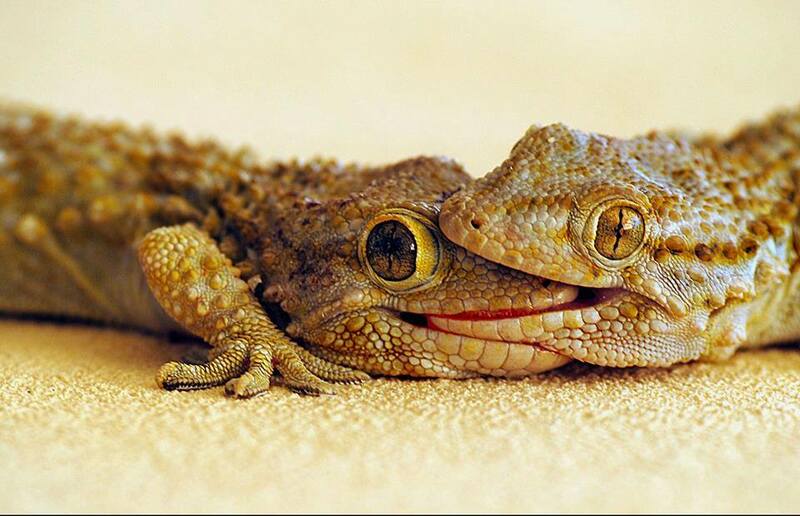 His prize-winning picture in the International Police photography competition. Still life of course could be covered by the continual use of tripods, but spontaneity requires a quick eye and two deft steady and non-trembling hands and knowing photographers, not just one click but a series of ongoing clicks to capture movements, expressions and colours. The days of spontaneity seemed to be over once and for all. 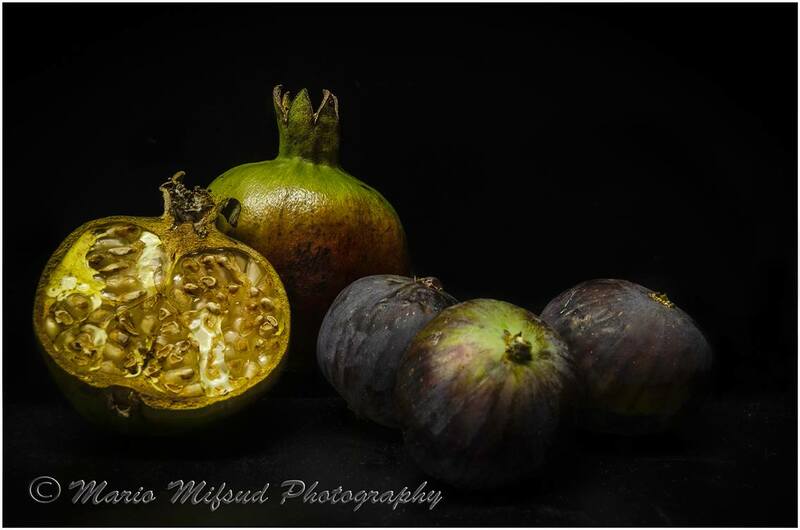 Still life – fresh pomegranates and figs. Although he was always drawn to it, his photography journey started relatively late, in 2004 when Mario had just turned 50. He had returned from working in Tunisia and discovered the then joys of PowerPoint, portraying Malta scenes and particularly heritage scenes. As a beginner he was not entirely satisfied with the results and he enrolled as a Member of the Malta Photographic Society and attended his first photography course. Today he is still a Member of the Society. 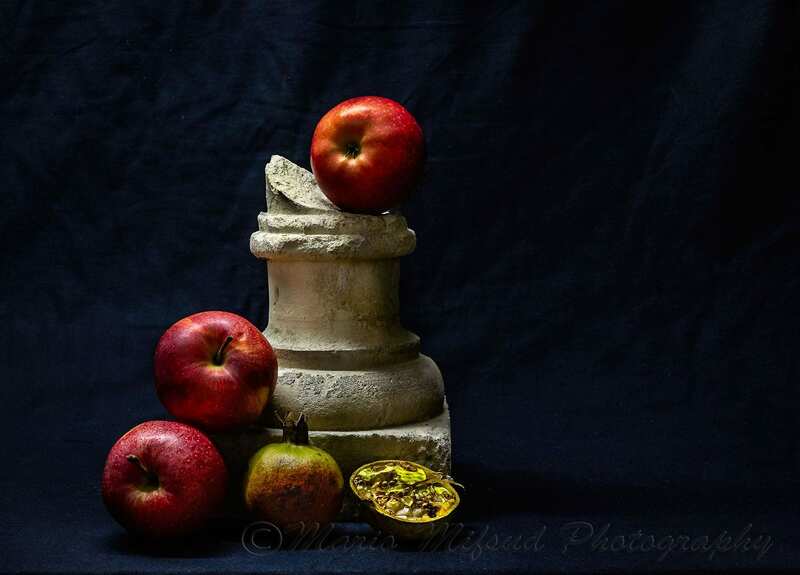 A classic still life – apples and pomegranates. Steadily but surely, the photography hobby took a firm grip on him. He bought his first camera, a Nikon D3000 DSLR camera and two years later the more sophisticated Nikon D7000 Tripod Manfrotto and still has both cameras today. He owns other equipment too which makes Double Dutch to me but must be familiar to other photographers – a Sigma Lens 18-55mm, Sigma Lens 18-250mm, Sigma Lens 70-300mm, Sigma Macro Lens 105mm, Nikon Macro Lens 60mm and Speed Lights Nikon+Yongnuo. I asked Mario about his quandary following the accident. “I thought that photography has to stop as I won’t be able to hold the camera. I was totally wrong as photography served me and is still serving me today as therapy. As soon as I grab my camera I become a different person. Now aged 63, Mario is from Hamrun but lives in Swatar. He is married to Ina and they have a son and a daughter and Mario and Ina are proud grandparents of two (a boy and a girl), with a third – expected to be a boy – on the way. Things have not been easy since that terrible day in May five years ago with the trauma of it all, the operations and the general heartbreak of the loss of a vital limb, particularly because of his photography hobby. Mario was faced with two choices: to either resign himself to what happened and give up his hobby, or otherwise to fight back and retain his ambitions. 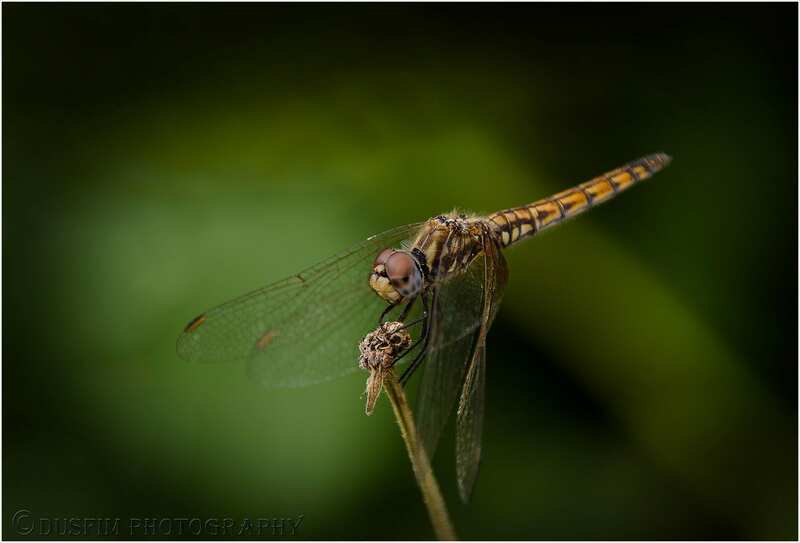 The short life of the dragonfly. He bravely chose the latter – and retained his ambitions. He is now seeking a sponsor to mount his own photography exhibition. The rough ‘n tumble of motocross. Photography capturing situations and reflecting life is still his major hobby. He is also highly interested in film-making and still owns his own movie camera. A few weeks ago I recounted the will-power and endeavour of the Abela parents Marcelle and Mario to help their son Gabriel overcome cerebral palsy. Much of the same human will-power and endeavour distinguish Mario Mifsud’s character. 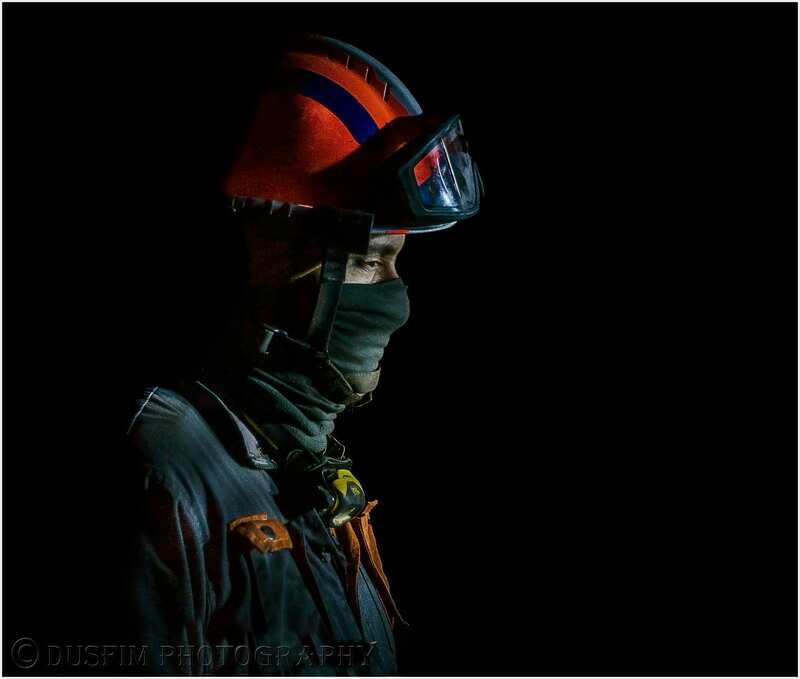 Civil Protection fireman set to tackle the blaze. The outstanding message in both instances is to never give up, even though life can deal cruel blows. Reaching out is important and receiving family solidarity is equally essential. 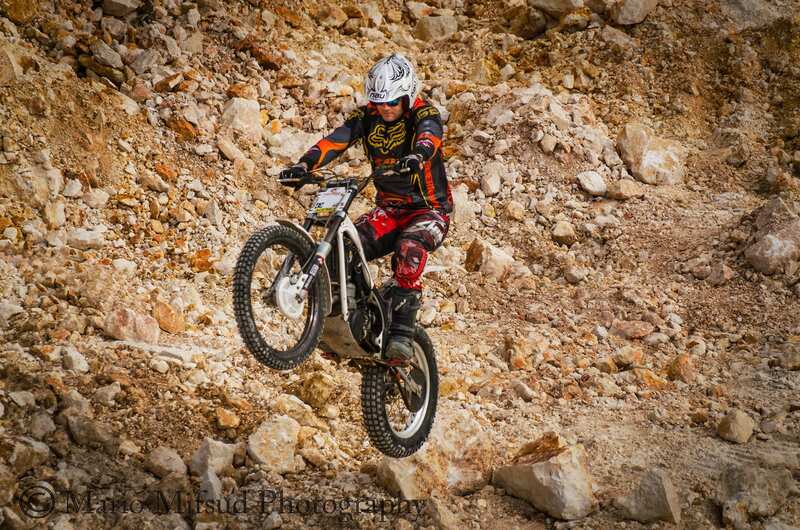 With determination and will power, life can go on.